How can I add my Menu to a page? 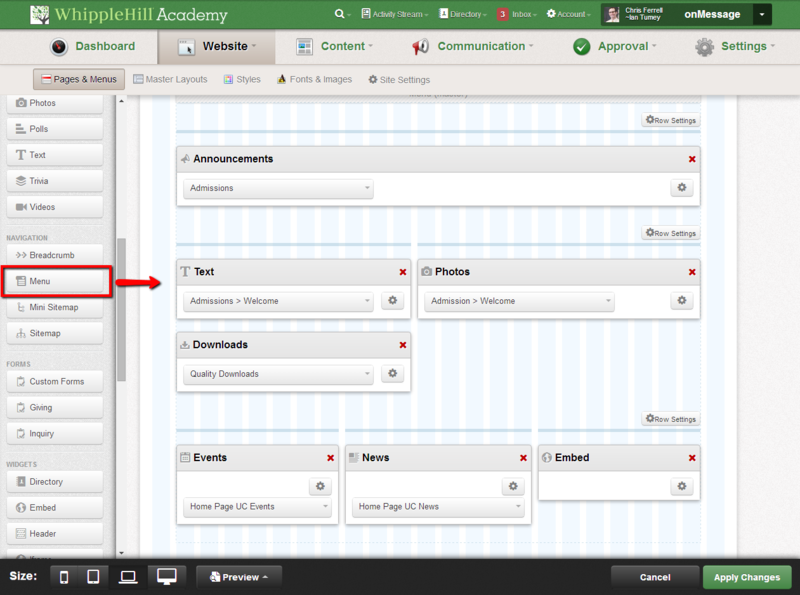 Users can add the Menu widget to any Scool Website page by dragging from the Content Types selector on the left, to the Page Region, on the right, when in Page edit mode. In the Menu Settings window select the start and end level for the pages you would like to include. For example you may want to include only the child pages and not display a link to the Parent page.